What type of shutter do you offer? 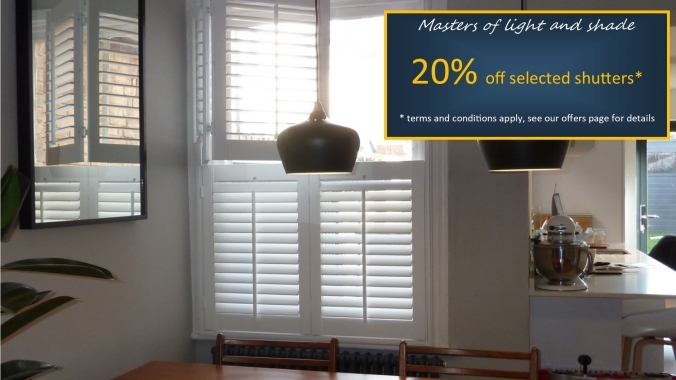 Plantation Shutters, these are also described simply as shutters, shutter blinds, interior shutters, internal shutters, wooden shutters, Californian shutters and Colonial shutters. 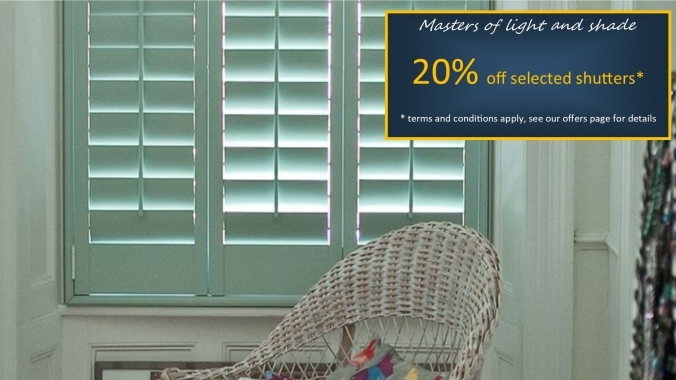 Our shutters are internal or interior window shutters and are designed as a window covering. The adjustable louvre offers great flexibility to light control and contributes to their popularity. It’s a horizontal slat that can be adjusted to control the amount of light you would like. We offer the following sizes 47, 63, 76,89 and 114mm and we also offer solid panels. They adjust the angle of the louvres. They can be attached at the centre or set to the hinged side of a panel. A geared mechanism can also be chosen which eliminates the tilt rod and adjustment is made by adjusting one louvre on all but 47mm sizes. What is a full height shutter? It’s a very popular choice of shutter that covers all the glass area of a window. What is tier on tier? It’s independently opening top and bottom panels, most popular on sliding sash windows. What is a divider rail? It’s a horizontal solid section of panel that divides the operation of the louvres to an upper and lower section. Shutter panels that are over 1.8m must have a divider rail for extra strength. When are tracked shutters used? When covering a large area and lots of panels are required. Some good examples are: on Patio, Bi-fold or French doors. We can make a shaped shutter to fit virtually any shaped window! There's a choice of frame to fit your shutters either to the window, inside the window recess, flush to the wall or on your internal wall or architrave. How long before my shutters can be fitted? 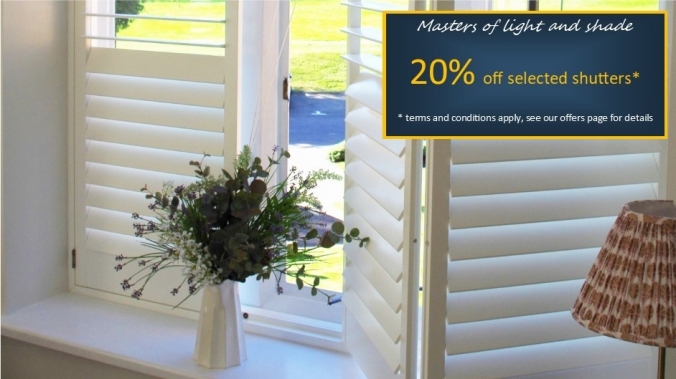 Shutters take approximately 12 weeks from your order to fitting as they’re made only to your order. Do you offer a DIY service? We offer a complete service that includes fitting, so we don’t offer a supply only service. If your home is in an area with time restricted, permit or voucher parking please let us know so that we can pick up any necessary permits on our arrival. 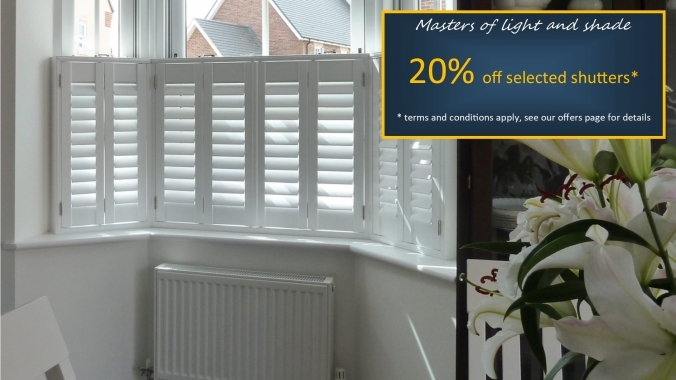 We prepare your written quotation while we’re with you at your home, when you’re ready to order your shutters we ask for a 50% deposit. We accept bank transfers, debit cards, cash, cheques and both Visa and Mastercards. Please ask if your postcode isn’t listed. You can also browse a list of the towns we cover within Hertfordshire, Bedfordshire, Buckinghamshire, Middlesex, North & West London.